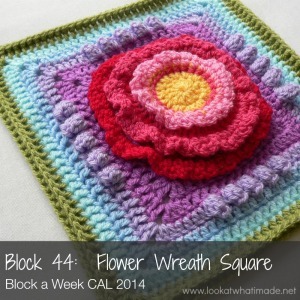 I have finally gotten around to sharing my completed Block a Week CAL 2014 blanket with you. The colours and textures make me so happy! 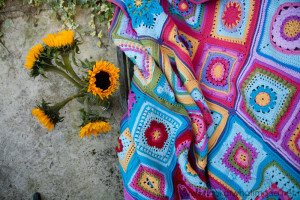 Today I am sharing Betty’s Blanket with you. Betty has used the same colours as me (mostly) and has kindly kept a tally of how much yarn we used. 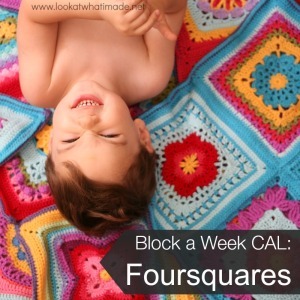 This is a list of the 12 foursquares I made for the Block a Week CAL 2014. I am so excited! 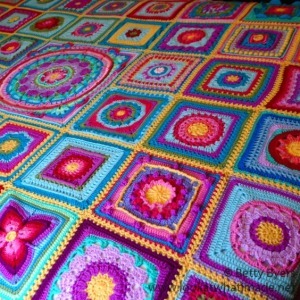 Now I just have to join and border and my afghan will be done. 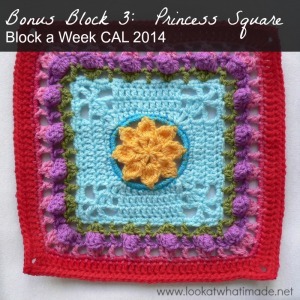 Bonus Block 3 of the Block a Week CAL 2014 is Melinda Miller’s dainty Princess Square. Photo tutorial done with kind permission. 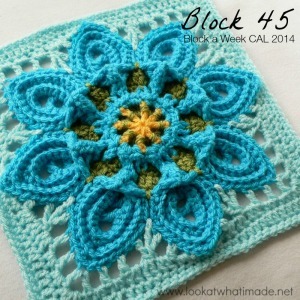 Block 44 of the Block a Week CAL is Aurora Suominen’s Flower Wreath Square. Photo tutorial done with kind permission. 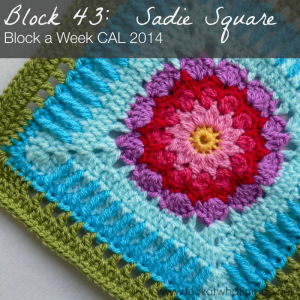 Block 43 of the Block a Week CAL 2014 is Melissa Green’s lovely Sadie Square. Photo tutorial done with kind permission. 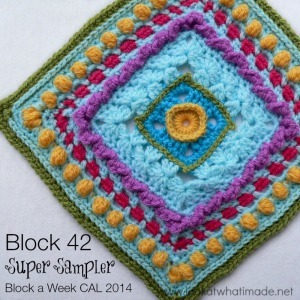 Block 42 of the Block a Week CAL 2014 is Donna Kay Lacey’s Super Sampler Square. 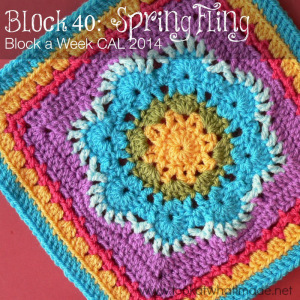 Donna has a photo tutorial available in PDF format, so I won’t be taking you through the steps, but I do have some tips and tricks (and how-not-to’s). 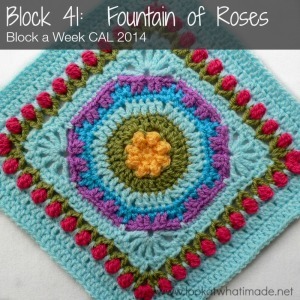 Block 41 of the Block a Week CAL 2014 is the lovely Fountain of Roses Square by Shan Sevcik. Photo tutorial done with permission.